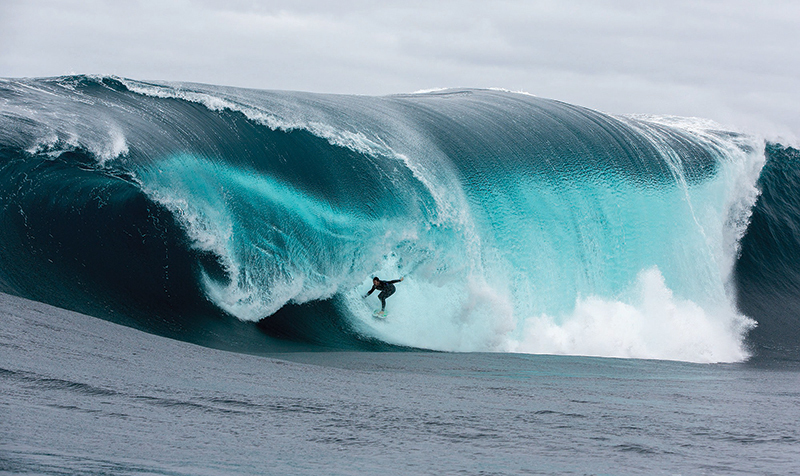 Let’s be honest, nothing good stays secret for too long – especially when it comes to finding that perfect wave. Australia is renowned for its surf culture, beautiful beaches and epic waves, and here are our top eight secret surf locations across the country. Found south of the Queensland seaside town, Agnes Water, is Springs Beach. This stunning beach area is part of the Discovery Coast and is one of the most northerly beaches along Australia’s east coast to receive the Tasman Sea swell. The meeting of Springs Beach and the Coral Sea makes for prime surf breaks. Whitehaven Island is the picture of Queensland perfection. Although it’s famous for its white sand beaches and stunning reef, after a strong north-east wind cycle, surfers can catch some smallish peelers along the sand bar. Drive about three hours south of Sydney and you’ll find yourself in Cave Beach. Located in the Booderee National Park, the land is owned by the Wreck Bay Aboriginal Community. The best time to surf Cave Beach is during summer when the combination of southerly swell and offshore, northerly winds creates an idyllic break. One of the world’s longest beaches, 75-Mile Beach on Fraser Island in Queensland is a great destination for surfers of any level. The beach receives plenty of swell, but you’ll need to take a 4WD to get to the waves. Australia’s west coast doesn’t get enough credit when it comes to great surf. And Western Australia’s Margaret River is definitely a destination to head to for waves during the day and wine at night – it is one of Australia’s top wine regions, after all. For those with some surfing chops willing to take on barrels of six metres or more over sharp offshore reef, Prevelly is the place to go. Remember, safety first in this location – wear a helmet. 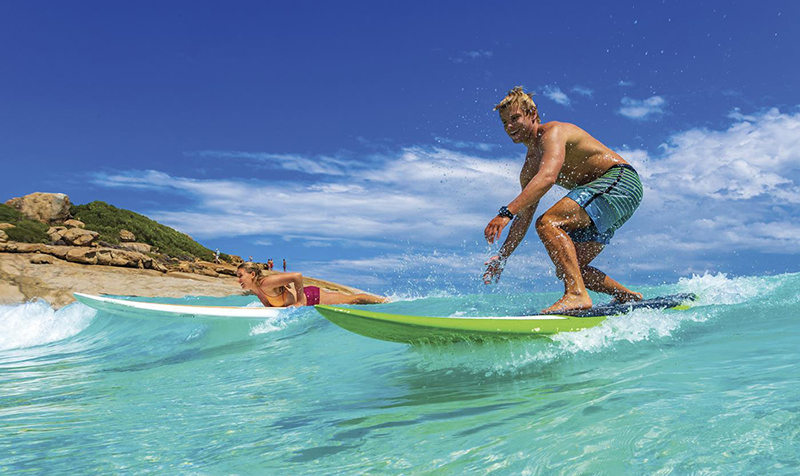 Ningaloo Reef has an abundance of marine life, diving attractions and thrilling surfing opportunities, and Red Bluff sits at its southern extremity. Bring your shortboard, wear booties (the reef is not only sharp but also home to sea urchins) and follow the locals – winter is the best season to ride the Red Bluff waves. Not as dramatic as the name might indicate, Treachery Beach is located in the Great Lakes region north of Newcastle, which is known for its excellent breaks and isolated beaches. The jutting headland at the north-east end of the beach serves to catch the swells, making it a great spot to set up camp for the day and enjoy the waves. With some of the best surf in Tasmania, Bruny Island offers great breaks along The Neck, Cloudy Bay and Coal Point. Bruny Island is home to the Bruny Island Surf Classic, one of only four state championship competitions for the sport. For more personalised information tips and advice, or to book your holiday at one of these amazing surf spots, contact your local TravelManagers’ personal travel manager here.